Those that like candy corns. Take 1/3 of your ice cream and place it in a bowl. 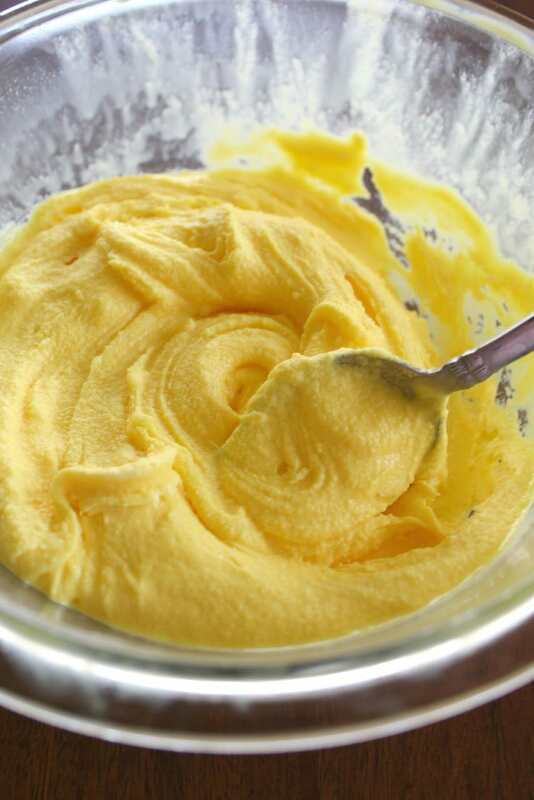 Add yellow food coloring and mix until the desired shade is obtained. Meanwhile, take your orange sherbet out of the freezer to allow it to soften. 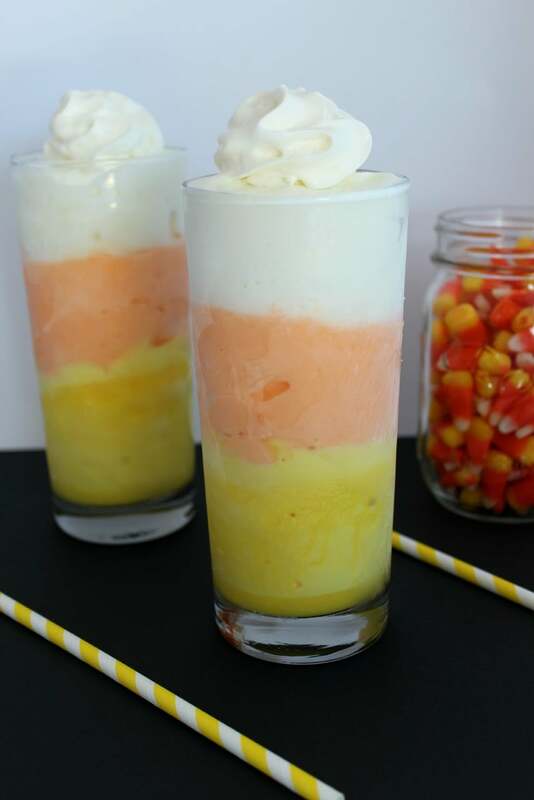 Fill your milkshake glass bottoms with yellow ice cream – about 1/3 full. I used this dessert decorator with no tip to put the softened ice cream in. It makes it so much easier and less messy. Wipe down the inside of the cups with a paper towel to remove ice cream streaks. 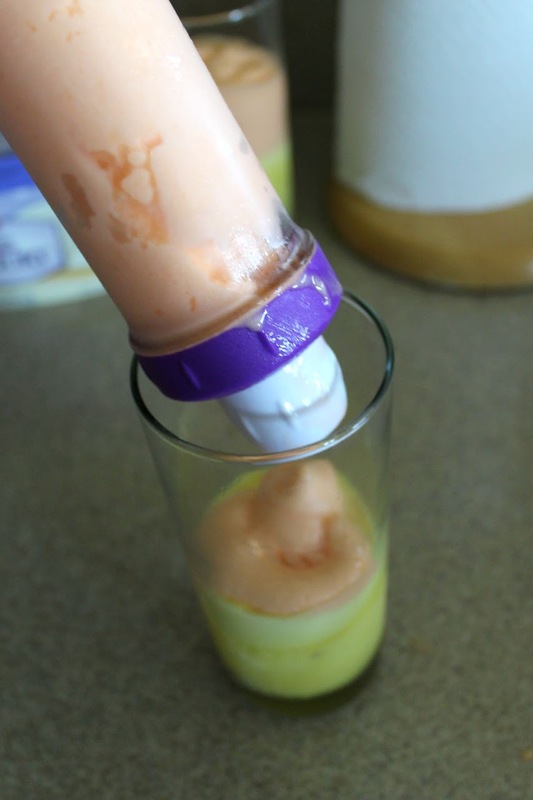 Place your cups in the freezer for 5-10 minutes to harden the yellow layer. Fill 2/3 of cup with orange sherbet. Wipe the excess on the inside of the cups with a paper towel. Place the cups back in the freezer for 5-10 minutes. Finally, add your vanilla ice cream – filling the cups within 1/2 inch from the top of the cup. Smooth out the tops.